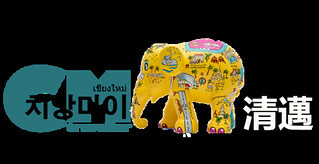 17 Soi 7 Nimmanhaemein Rd., Suthep, A.Muang Chiang Mai, Thailand. 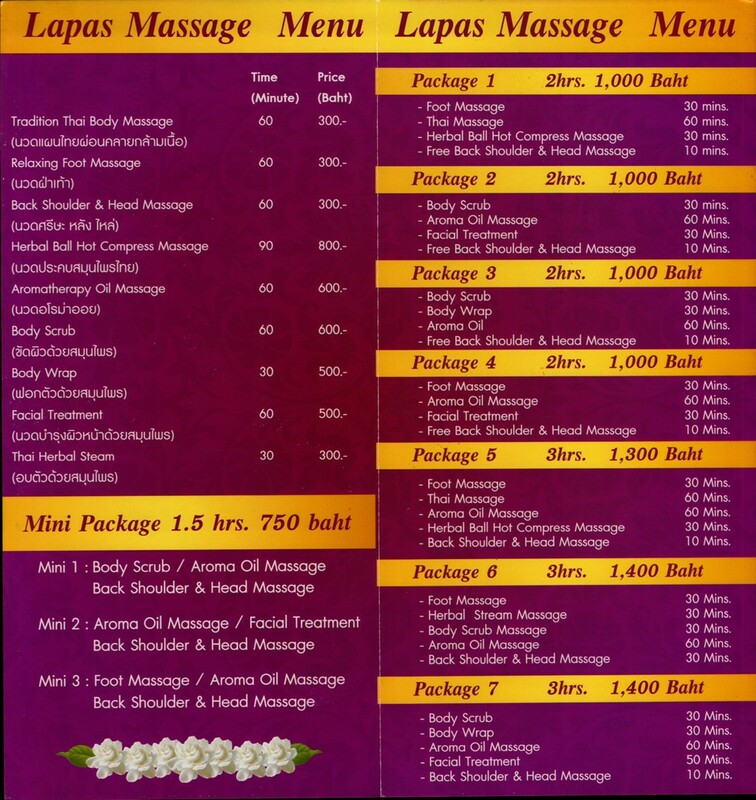 See the brochures for Lapas Massage for more information. Open and save the brochures for offline viewing on your computer or smartphone. Prices are subject to change. 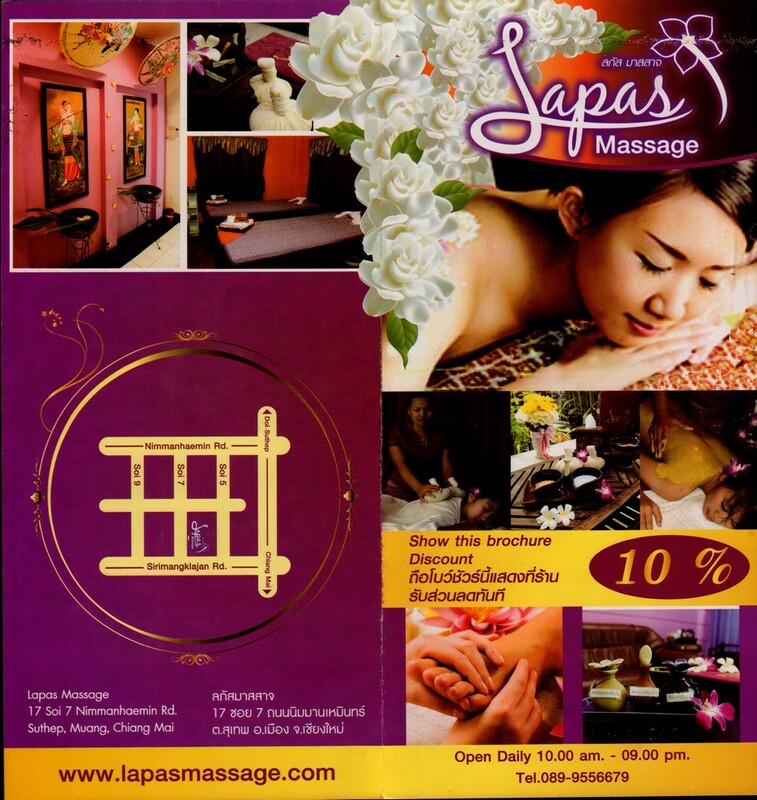 Check out useful Travellers Reviews for Lapas Massage. Remember to write your review too and share your wonderful experience with the world.